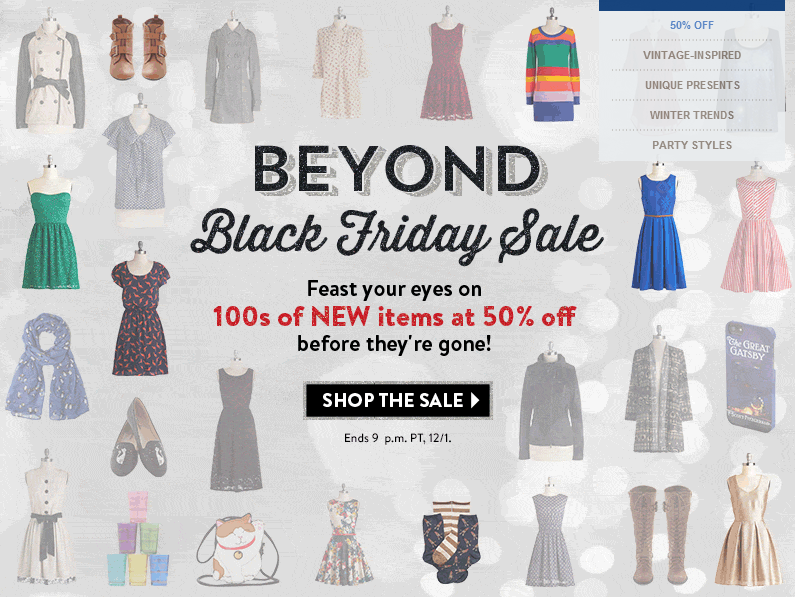 There's a "Beyond Black Friday" sale going on atModcloth! Get 50% off of 100s of items! 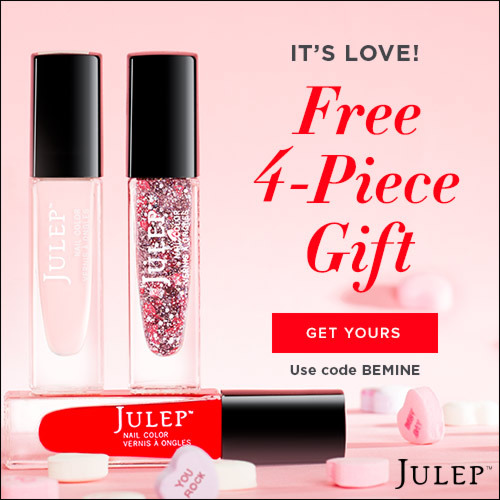 BH Cosmetics has a few awesome steals, as well as 50% off of the entire website! I recommend grabbing the Galaxy Chic palette. 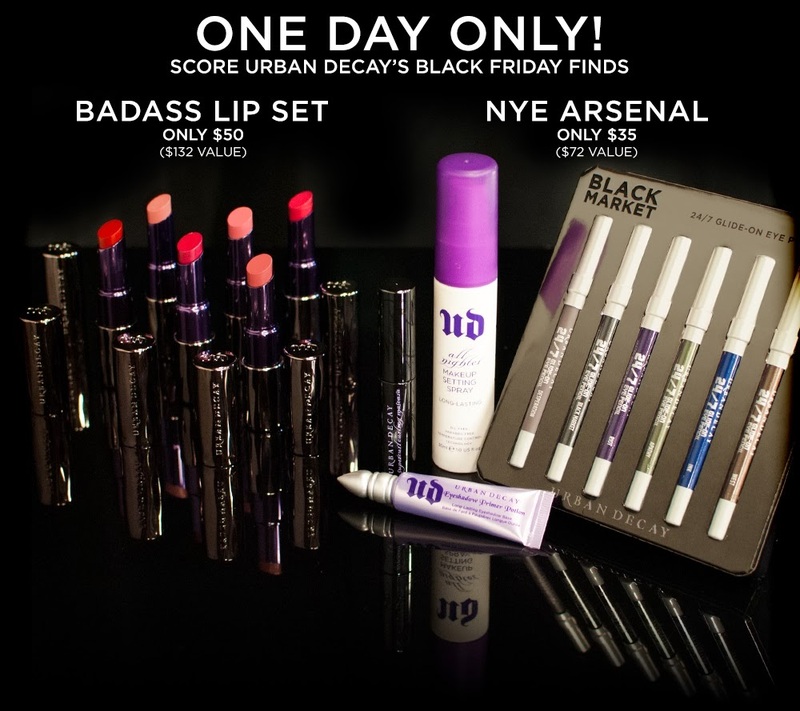 6 full size Revolution lipsticks for $50 and a travel set for $35 at Urban Decay! 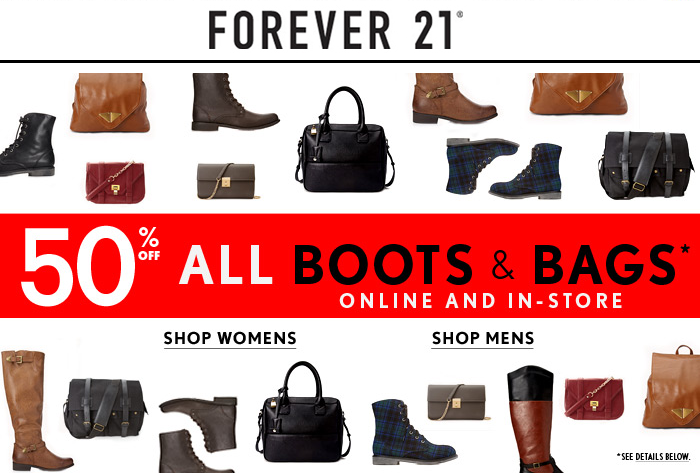 50% off of all boots and bags at Forever 21 and you can also get an extra 50% off of clearance items with the code EXTRA50! NARS is having their Friends & Family sale! Get 20% with the code NARSFRIENDS. Sephora has a bunch of items/set priced at $10 each today! 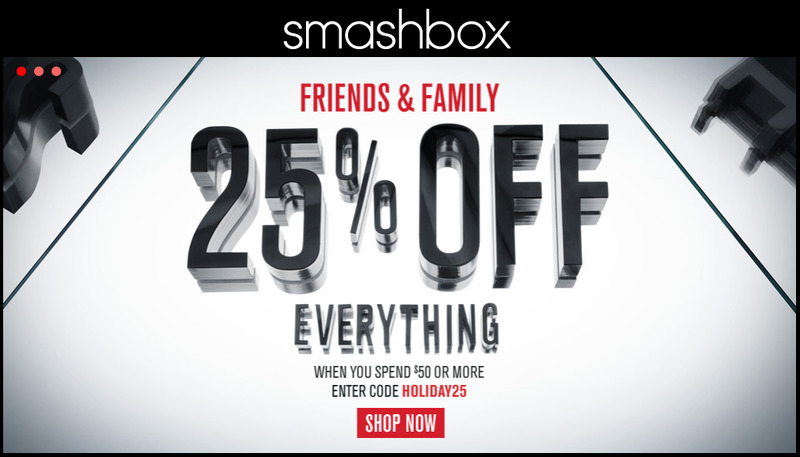 Smashbox is also holding their Friends & Family sale! Get 25% off of a purchase of $50+ with the code HOLIDAY25. Sugarpill has all items marked down anywhere between 20% and 50%! What are you planning on buying? 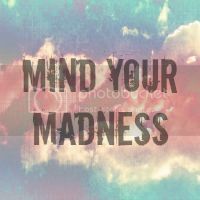 Are you shopping for others or yourselves? There were so many amazing sales this year! thank you. thank you. thank you for compiling this list! 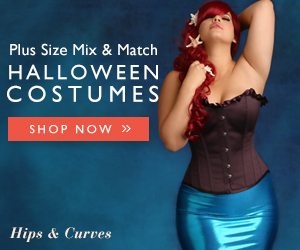 I've been on modcloth's site all morning, but I just couldn't find anything that really stuck out. But now makeup! I have LOADS that I want to try! Gotta go visit these sites before the deals are over! Oh, no problem! Let me know what you end up getting! Also, did you see that Modcloth sells theBalm products? Their Balm Voyage palette is part of the BBF sale! Was it the Revealed palette?! 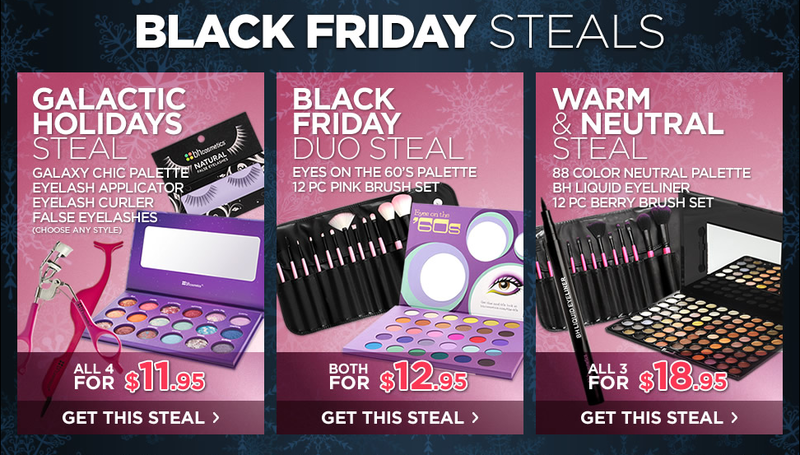 Cos I was going to snag one, but figured that I'd put it on my holiday wishlist along with a bunch of Coastal Scents brushes! If you did get it, let me know how you like it. Also, HOORAY! The Galaxy Chic palette is just too good of a deal to pass up! 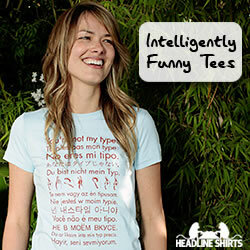 Use the code "KVREADER" to get 10% off on all items!